NAIF’s loan will contribute to the development of infrastructure for the Thunderbird Mineral Sands Project (Thunderbird Project). Build a mineral sands processing plant, LNG power station, high voltage electrical reticulation and regasification and gas storage facilities at the mine site. Upgraded roads will enable the safe transport of personnel to and from the mine. Ship loading and logistics assets will be built to revitalise the port at Derby. *The financial assistance is subject to Conditions Precedent including the finalisation of the WA Government’s consideration and agreement for the approved funds to be advanced. 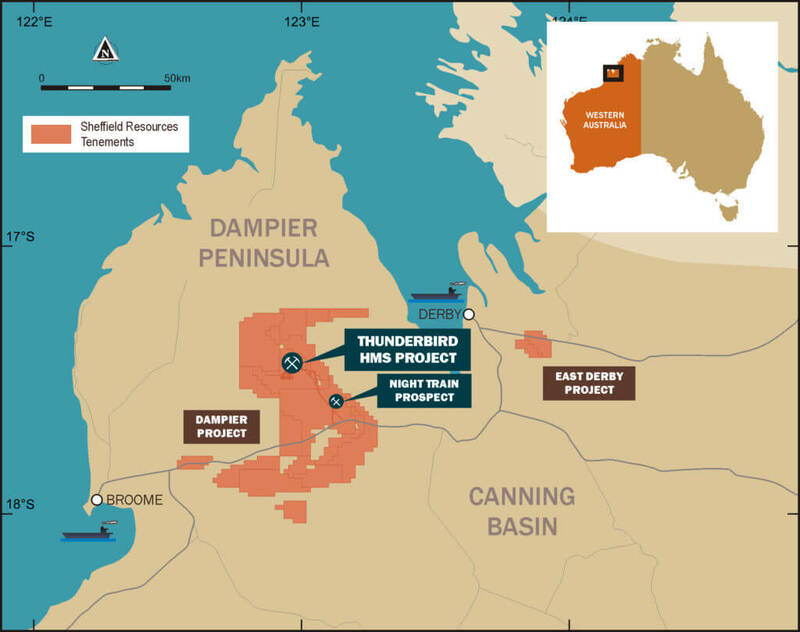 The Thunderbird Project is one of the world’s largest and highest grade zircon and titanium dioxide deposits. These materials have a wide range of uses, including ceramic tiles and bathroom products, paint pigments, fibre optic applications, as well as sunscreen and food colouring. NAIF’s assistance effectively accelerates the development of important infrastructure elements of the Thunderbird project, filling a gap in Sheffield’s finance that it could not obtain from private sector debt and equity markets at this point in its corporate development. Commitment to increasing Aboriginal participation to 40 percent of the workforce in the first eight years of operation, and growing Aboriginal business content from a minimum of $5 million/year from year five of operations. Preference for contractors who demonstrate strategies for engaging Indigenous workers and/or have Indigenous employees. Opportunities for joint ventures to build capacity through partnerships between Indigenous suppliers and industry recognised contractors. Cash royalties to exceed $100m over 42 years providing inter-generational benefit. Cross-cultural awareness training delivered by Traditional Owners to employees and contractors.